Ask anyone who has already done it, and they will probably tell you that studying and living overseas as a foreign exchange student can be one of the most rewarding and memorable experiences of your life. If living with a host family in another country appeals to you, there are some steps you need to take to make sure that you don’t miss out on this wonderful and unique opportunity. It can take at least several months, and sometimes up to a year to plan your exchange student experience, so you should plan accordingly. You may need to talk to your school or college, and if you are under 18, you will need your parent’s written permission for you to leave the country for that length of time. You will need a passport, which can take at least several weeks to receive once you have applied, and depending on which country you are going to, you may need to apply for a visa too. If you aren’t sure which country you want to go to, do some research and find out what interests you; it may be the art of France, the cuisine of Italy, or the history and culture of Greece. If there is one country that you have always wanted to visit, going there as a foreign exchange student can be an affordable, practical and fun way of experiencing it. Ask yourself how far out of your comfort zone you are prepared to be; it is a lot less challenging spending a year in France than a year in Japan or China. And of course, you will want to make sure that you find the perfect host family. Depending on how quickly you are matched with the family that sounds ideal, that process can also take several weeks or longer. Planning ahead will also make it easier to save money. Not only will you save money on the airfare, but you will also be able to plan out your spending for after you get there. 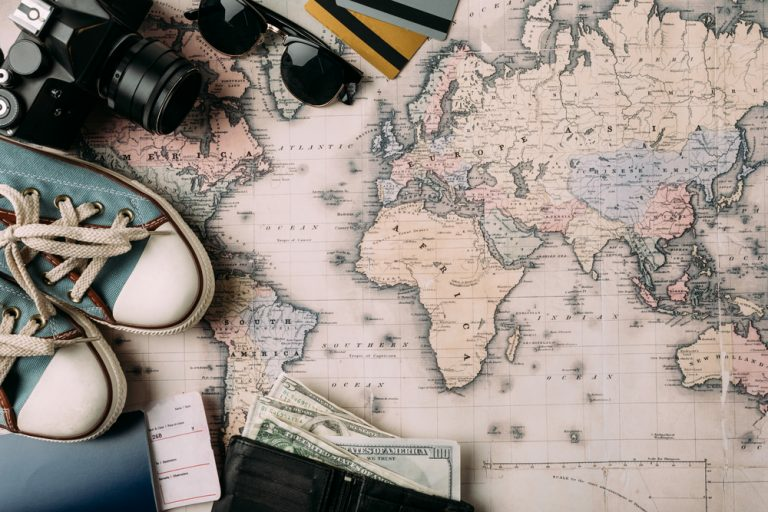 Planning your foreign exchange adventure ahead of time also means that you have plenty of time to learn the language spoken in the country you are visiting. True, as a native English speaker, you have an advantage, as English is spoken just about everywhere, including most European countries. However, you will have a better experience as a foreign exchange student, and your host family will appreciate it, if you at least make some effort to speak the language. And being able to communicate in the language of your chosen country will play a big part in making you feel more settled, more at home and less of an outsider or someone who is just visiting. The Internet has made it easy to learn to speak a foreign language. You most likely won’t become fluent in time for your trip, but if you can order a meal in a local restaurant, or be able to decipher even the most basic communication, it can make your experience a lot easier, and give you a head start on learning the language once you arrive. Planning to go overseas to stay with a host family can be fun, as can anticipating the trip for months ahead of time. However, it isn’t unusual for many foreign exchange students to have second thoughts about leaving home. It’s important to understand that these feelings are natural, and will almost certainly pass after a few weeks. You can fight those feelings of being homesick by immersing yourself in the experience and getting as much out of it as you can, while at the same time keeping in touch with your friends and family back home. Video chatting with your loved ones in the US every week is easy to do and doesn’t cost anything. It can make a huge difference if you are homesick and just need to see a friendly face. It’s also worth remembering that almost all matches between host families and exchange students are successful; in fact, many students and families become lifelong friends and keep in touch after the hosting. If you still have doubts about becoming a foreign exchange student, talk to your family and friends, as well as other students who have had this experience already. Staying with a host family is a once in a lifetime experience for most people, and you may well find that once you are with your host family, you are having such a great time that you just don’t want to come back home. What’s Life Like as a Foreign Exchange Student? As a foreign exchange student, you have a chance to experience life in a completely new and unique culture. If you immerse yourself in that culture, you can certainly learn a lot, even if you’re there for only 6 months. At the same time, studying abroad can be a challenge. By accepting the “bad” with the good, you can come away with tales to tell and lessons that will last you a lifetime. No two countries are exactly alike when it comes to language, culture, and norms. If you choose to study abroad expect your life to be very different than it is back home. Complaining about the differences will get you nowhere. Embracing the differences will make your stay as a foreign exchange student more enjoyable. It’ll also help you make progress in your studies. Learning the language, accepting the culture and following your host country’s norms are all a part of embracing the differences. You may have to change the way you talk, dress, or act slightly in the attempt to fit in in your new country and comply with the new culture. When it comes to your studies, you’ll need to be open to new teachers and teaching methods if you hope to make progress. Take into account that you’ll be the new kid on the block and will be starting from scratch when it comes to making friends and taking classes. As a foreign exchange student, adaptability will be one of your greatest assets because it puts you in a position to learn and grow. If this is your first time away from home, the thought of living with a strange family can be scary at best. It can also be a tremendous learning experience. To make it work, however, you’ll have to do your part. Your host family will undoubtedly have house rules they expect you to follow. Being considerate of their rules and customs opens the door to a good working and living relationship. Your family may also expect you to help around the house. If not, you should volunteer from time to time to show you’re willing to pitch in. You may have to forgo certain habits, such as smoking, eating at all hours or staying out late on weekends, if that doesn’t sit well with your host family. Some of your habits may be offensive to your host family or raise questions in the area where they live. By being willing to give and take, you can likely to a come to a compromise that suits you both. If conflicts arise with your host family, try to find common ground. Look for ways to make your situation work rather than bale out. While it’s true that some foreign exchange students change families during the course of their studies due to unresolved differences, many do not. The lessons you learn in adapting to your new situation will serve you well later on in life. It’s not unusual for foreign exchange students to suffer from culture shock due to all the differences between their host country and home. It may take you weeks or months to get adjusted to your host family, school and life abroad. Some people adjust right away while others feel “lost” for quite some time. Culture shock can put you on an emotional roller coaster as some days you may feel confused and fearful while other days you’re happy and excited to be where you are. For the most part, culture shock is normal, and your emotions will level out over time. If you’re having a hard time adjusting, reach out to your host family. They can provide valuable help, counsel, and support when you need it most. Your host “parents” can help keep you on track, so you don’t lose sight of your goals. It helps to be on good terms with your host family as they can keep you “grounded” when your emotions run wild. You’ll also find it more enjoyable living with “strangers” if you take time to turn them into friends. The closer you become to your host family, the easier it is for them to make you feel at home. Fear of the unknown and fear of failure can put a damper on your experience as a foreign exchange student. These are normal feelings, so take them in stride and try not to let them overwhelm you. Once you overcome language barriers and embrace cultural differences, you’ll begin to make friends and enjoy your life abroad. 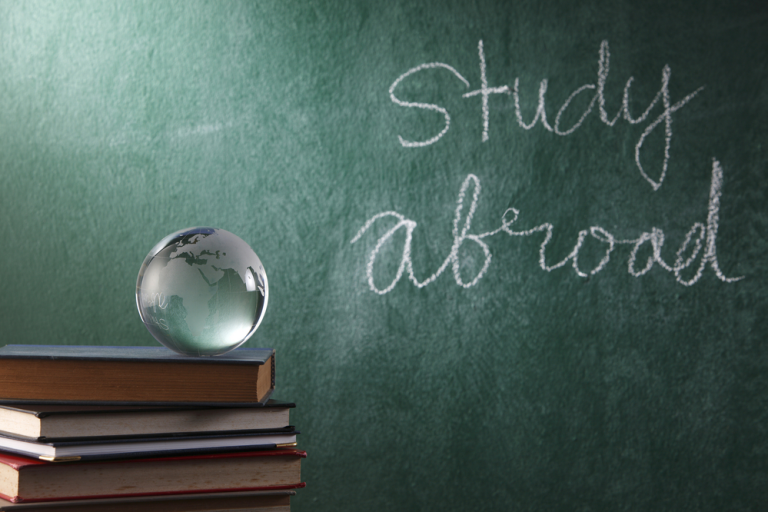 In addition to being educational, studying abroad should be a venture you never forget. Meeting your host family for the first time is a little like going on a date, meeting your classmates or arriving at work on the first day of a new job – it’s natural to ask yourself what if they don’t like me? Most foreign exchange students have those thoughts, and you would be unusual if you didn’t feel that way. Everybody gets nervous when meeting someone else for the first time, and being anxious, nervous or even having second thoughts about the entire venture are certainly not unusual. As well as meeting your host family for the first time, you are probably also nervous about spending several months in a foreign country. As soon as you get the chance, it’s okay to talk to your host family and tell them how you feel. They may be just as nervous and as uncertain as you are – most families are. And if they are quite used to having a foreign exchange student in their hose, they can sit down with you and reassure you, and explain what they expect from you. Although it may not have occurred to you, the family you are about to meet is perhaps just as anxious as you are at meeting their foreign exchange student for the first time. Excellent communication and telling each other just how you feel are essential, even though you have only just met each other. Remember that your host family wants you to have a positive and enjoyable experience, despite the fact that you are there primarily for school. Talk to them and let them know how you feel. Being homesick often goes hand in hand with being apprehensive or anxious, and if you have never been so far from home before and are missing family and friends, talk to your host family. Skype is an excellent tool to keep you in touch with your family and friends. Many foreign exchange students are nervous or upset because they find that the family they are staying with are not quite what they pictured. Just about all of us form a mental picture of the person we are going to meet if we have talked to them, seen their photograph or read their biography. Often the reality is a little bit different from the anticipation, which isn’t necessarily a bad thing – it just takes some getting used to. You may have submitted your application to be a foreign exchange student a year ago, and during that year you have probably changed a little bit yourself. Don’t let that preconceived idea of what your host family will be like make you anxious and spoil the experience. Keep in mind that to truly get to know each other can take weeks or months, although it’s never too soon to start. The environment in which you will be spending the next few months can also add to your nervousness or homesickness. Perhaps you aren’t used to living in the big city, and your host family lives in an apartment on a busy street in a large city. Or perhaps you thrive on the sounds of traffic and your chosen family lives on a farm, or in what might be politely described as the middle of nowhere. Those preconceived ideas of what to expect can be just as upsetting. Remember, one of the reasons you wanted to be a foreign exchange student in the first place was to experience something different and to see how people live in a different country and environment. Embrace the changes – what seems odd and overwhelming at first won’t always be that way. Remember, it is reasonable for both the exchange student and the host family to become anxious about the experience, and perhaps even have second thoughts about the whole thing. If you are away from home for a year, that can be a long time, especially if it’s your first time away from home. And there may be challenges. Being a foreign exchange student can be hard work, and the study time can often seem a lot longer than the free time. A new and different environment does come with its challenges, whether it’s how to operate the television or shower, cope with a barking dog or small children, or simply try to overcome the language barrier. Many host families become firm and lifelong friends with their overseas exchange student, and by embracing the experience, you can have that positive relationship too. Where Should You Travel to Become a Foreign Exchange Student?